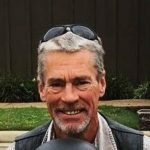 Seaford, Va. – Richard Kent Flythe, 65, went home to his heavenly father Monday, March 18, 2019. Kent was a lifelong peninsula resident. He was a former owner and operator of a local sign company. He was a wonderful father and grandfather. He loved hunting and fishing, his family, his friends, and life. Kent will be dearly missed. He was preceded in death by his only son, Travis Merritt Flythe, He is survived by his daughters, Missy Leann Flythe and Kelly Morgan Flythe; their mother Susan Flythe; and was the proud granddad of 4 amazing grandsons, Travis, Ethan, Levi and Philip. A celebration of life service will be held at 11:00 AM on Saturday, March 23, 2019 at Coastal Community Church, 101 Village Ave. Yorktown, VA. Burial will follow in Parklawn Memorial Park, Hampton. Arrangements by Amory Funeral Home, Grafton, VA.
Memorial donations may be made to Amory Funeral Home, P.O. Box 1026, Grafton VA. 23692.